Although we want you to keep as many of your natural teeth as possible, occasionally a tooth has to be removed. If you are having a tooth extraction, this is what’s likely to happen on the day. There are many reasons for tooth extraction which you can read about here. Dentists regularly perform tooth extractions, so there’s no need to be overly concerned about the procedure. However, every medical procedure carries risks. Your dentist will discuss the risks with you as well as answer any questions you may have. If you are having several teeth removed, the extraction may be performed under general anaesthetic in a hospital. If you are having just one tooth pulled, it will likely be extracted in the dentist chair under local anaesthetic. Although the procedure is common and usually safe, there is the potential for bacteria to enter your bloodstream. Therefore, it’s essential that your dentist is aware of your full medical history, including all supplements and medications that you may take. You must also tell your dentist if you have any of the following conditions: a poor or compromised immune system, liver disease, an artificial joint (e.g. knee or hip), congenital heart defect, man-made or damaged heart valves, or a history of bacterial endocarditis. Before the procedure, your dentist will give you an injection of local anaesthetic to completely numb the area, ensuring that the procedure will be pain-free. If you are feeling anxious or nervous, the dentist may give you a sedative as well. If you have an impacted tooth (the tooth is not visible from the surface), the dentist will cut away the gum and bone tissue that is covering the tooth. Then, she will use forceps to take hold of the tooth and gently move it back and forth to release it from the jawbone and ligaments that stabilise it. Occasionally, if a tooth is too difficult to remove, it may have to be removed in pieces. Soon after your tooth has been removed a blood clot will form in your socket. Your dentist will immediately place some gauze over the area and ask you to bite down firmly on it to stop the bleeding. In some cases, you will be given a couple of stitches to close the wound. Occasionally, a blood clot in the socket may break loose, exposing the bone in the socket. This condition is known as a dry socket and can be quite painful. If this happens to you, your dentist will give you a sedative dressing the plate over the socket for a few days while a new blood clot is established. 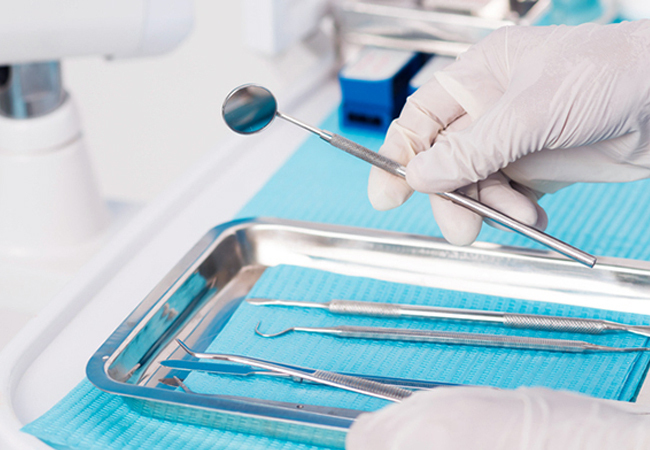 Your dentist will send you home to recover after your tooth extraction procedure. Recovery usually takes just a few days. In that time, you should take it easy and rest as much as possible. Here are some tips to help you heal as fast as possible and keep things comfortable. Immediately after the procedure, apply an ice pack to the area for 10-minute periods to minimise swelling. Carefully follow your doctor’s instructions regarding pain medication. Don’t smoke as it inhibits healing. Only drink from a straw for the first 24 hours. On the first day, eat soft foods only, such as soup, yoghurt or stewed fruit. On the second day, you may slowly introduce a few solid foods. Continue to brush and floss teeth, as this is good to prevent infection, but avoid contacting the area close to the extraction site. Avoid rinsing or spitting forcefully for a day after the procedure as this may cause a blood clot to dislodge from the socket. After 24 hours, rinse your mouth with a solution of a half teaspoon salt with 1 cup of warm water. When resting, keep your head propped up with pillows to reduce swelling and avoid bleeding. Finally, make sure you adhere to your follow-up dental appointments so that your dentist can check your progress.